“Athchomar chomakea, friends! …. What’s that? No habla Dothraki? 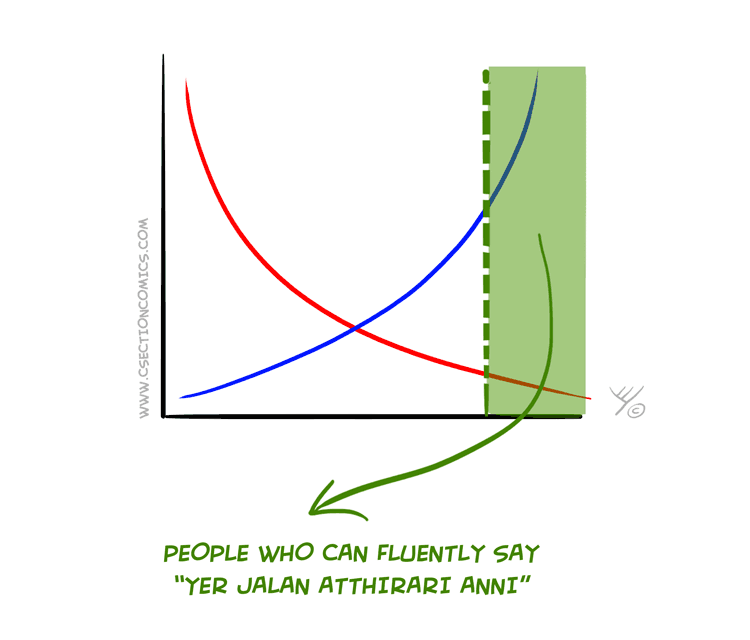 Ok… here are some quick facts about the Dothraki language. The Dothraki language was initially constructed by George RR Martin in his “A Song of Ice and Fire” series. It was later further developed for the “Game of Thrones” TV Series by language creator David Peterson. Peterson was chosen to construct the Dothraki language after winning an internal contest in the “Language Creation Society” organization. “TV Dothraki” consists of more than 3000 words, roughly the same as “Klingonese”, Star Trek’s Klingon language. Most words in Dothraki were never used in the series or books. Dothraki is quickly gaining popularity among geeks such as myself. The Dothraki language joins a respected group of fictional languages such as Star Trek’s Klingon and Lord of The Ring’s Elvish, Dwarvish and Orcish. Want more? 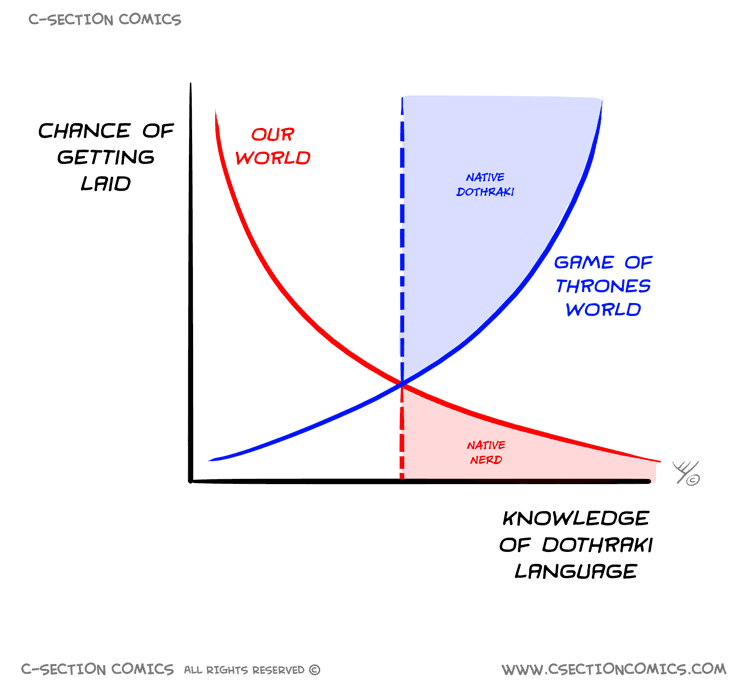 Here’s a previous cartoon comparing Dothraki and Klingons , and here’s our entire collection of Game of Thrones cartoons, including the one above.